At least 3,208 greyhound injuries have been reported at this track since 2005, and nearly 200 dogs have died. For years, GREY2K USA has tried to obtain greyhound injury reports for the Tri-State Racetrack in Cross Lanes, West Virginia. During that time, we have been repeatedly denied injury data from state officials. Until now. 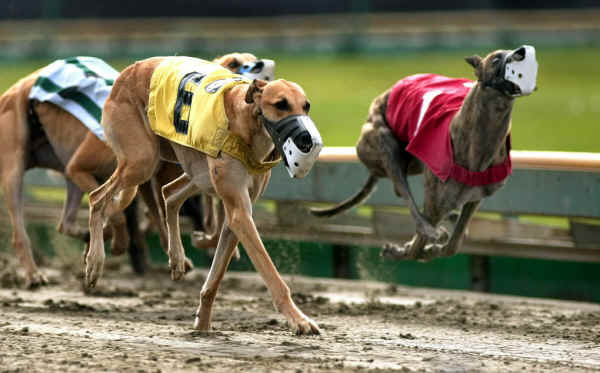 According to newly-obtained state records (February 2011), at least 3,208 greyhound injuries have been reported at this track since 2005, and nearly 200 dogs have died. Further, it’s likely that the actual number of injuries is even higher, as the state still refuses to produce several months of records. This is a staggering and sad example of the cruelty of greyhound racing. While we have documented severe injury problems at other dog tracks in the past, this is the most severe injury problem we have discovered to date. We cannot help the greyhounds that have already died at this track, but we can make sure that the world knows about their suffering, and work toward a day when greyhound racing ends at this terrible racing facility.